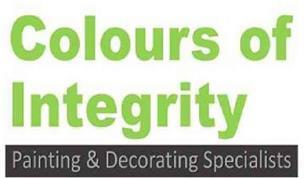 Having worked in the painting & decorating industry for over 10 years, I have built up a vast range of experience and knowledge of the trade. I have a small team who work for me and all of them are exceptionally skilled and professional. It will always be me that quotes for the work and I aim to always be on site throughout the whole project: making sure that I am as satisfied with the finished job as I hope you will be. Should a job need the expertise of other trades, such as an electrician or gas engineer etc. then I use regular sub-contractors who I have worked with for many years and trust that their work is to the same high standard as mine. I will happily take on projects for domestic and commercial properties, and pride myself on the fact that we have decorated schools and often have contracts to decorate local hotels. We are a very clean and tidy team of tradesmen and although painting and decorating can be messy and disruptive, we will do our best to keep this mess to a minimum. We will always keep your home tidy throughout the job and thoroughly clean once completed. Therefore if you are looking to decorate your home in any way, please call me to discuss your requirements and hopefully we can work together. I look forward to your call.